When it comes to the more important issues in life- like the decision to buy or sell real estate- it pays to work with a professional you trust. Meet Roberta Tawell. Roberta is the kind of professional who takes the time to get to know you and your needs so she can connect you with your goals and dreams. Roberta's knowledge of Portland's unique neighborhoods coupled with her industry expertise and strong skills make her your trusted advisor in the often complex arena of today's real estate market. Roberta grew up on the East Coast- but has lived in the West for over thirty years. She and her husband, Watson (and their Rhodesian Ridgeback, Ben) have been happy to call Portland home for many years. Roberta holds two Master's degrees- one in Clinical Nutrition and the second in Health Care Administration. She's also had professional chef training and owned an artisan bakery. Roberta's success in real estate is, in part, a result of her diverse experiences: health care practitioner, administrator, consultant and small business owner. In her free time, she enjoys hiking, gardening, traveling, wine-tasting with her husband and keeping up with Portland's nationally-acclaimed culinary scene. Roberta has been an active Realtor since 2000. She has helped dozens of home buyers and sellers achieve their goals and realize their dreams. Roberta follows a very wise saying- "Service isn't a big thing, it's a million little things". This means answering questions- even the smallest, negotiating contracts for her clients and providing frequent market updates...and navigating everything inbetween. A big believer in education, Roberta ensures she is continually on top of the rapidly-changing real estate industry and market conditions, so that she can provide appropriate information to her clients. Roberta has sold cottages to luxury homes, investment properties and condominiums and has helped seasoned home buyers and sellers as well as first-timers. She is honored to have assisted many of her past clients with repeat sales and referral business. Roberta is an active member of the National Association of Realtors, Oregon Association of Realtors and Portland Metropolitan Association of Realtors. 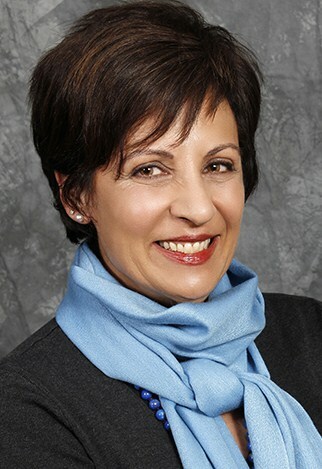 In addition, she is on referral status with the California Association of Realtors, as well as a Certified Residential Specialist- CRS (only 4% of Realtors hold the CRS designation), Seniors Real Estate Specialist- SRES, Master Certified Negotiation Expert- MCNE, Short Sale and Foreclosure Resource- SFR and a trade ally of Energy Trust of Oregon. Roberta also volunteers her time with Urban Tour Group providing educational walking tours downtown for third graders as well as with her Rhodesian Ridgeback, Ben, who is a certified therapy dog.